The bridge was built in 1963 and overpasses the railway tracks. 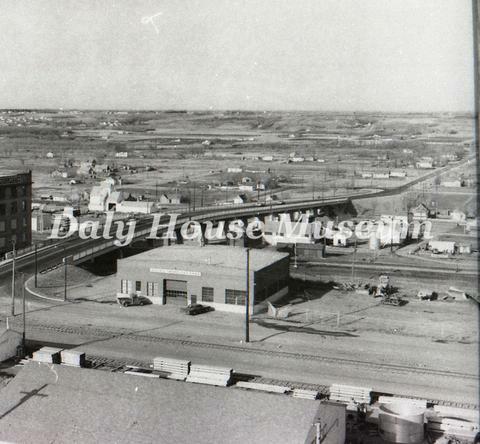 Photograph of the 18th Street Daly Overpass. Kane Equipment Ltd. is visible to the left and the International Harvester Company of Canada is on the right. Negative available at the Daly House Museum.